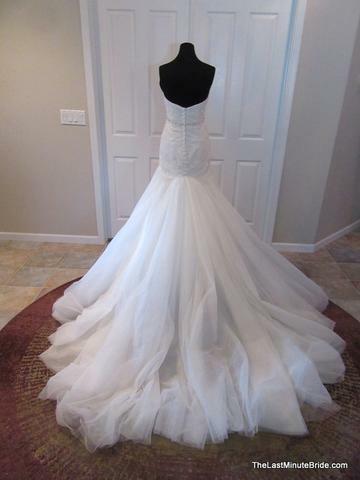 Elegance and Romance are shown in this gorgeous, fit & flare Essense of Australia wedding gown. 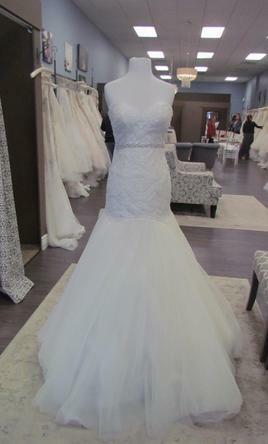 Beautiful scalloped drop waist and multi layer tulle skirt. 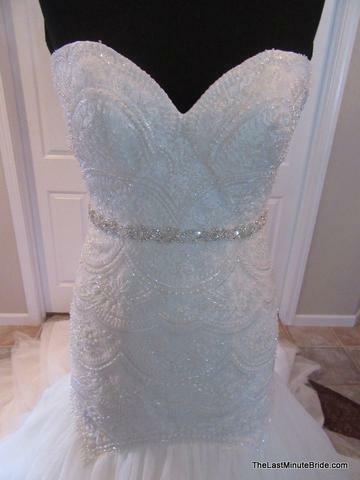 Diamante embellishments and lace fitting bodice with a sparkling beaded accent belt at waist. The back has fabric covered buttons over zipper and a lovely chapel length train. This gown has never been worn and has had no alterations made.